Summary: In the world of Roshar, hurricane-like tempests called highstorms pound the landscapes with unrelenting ferocity. Under threat of constant storm bombardment, plants recoil and humans hide away waiting for the clouds to clear. The Way of Kings delves into the lives of several characters fighting battles both large and small on a journey to preserve some semblance of humanity in the midst of a brutal, unceasing storm. 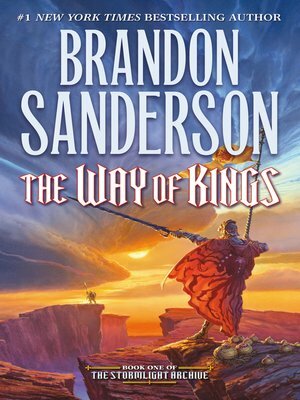 Review: Having read the majority of Sanderson’s Cosmere novels in the past several months, The Way of Kings leaves everything else in the dust in terms of scale and ambition. This 1,000+ page tome is the first in a series of ten planned Stormlight Archive novels (ambitious, indeed). Sanderson lays the groundwork for a potentially groundbreaking work of high fantasy in his initial offering. I felt the need to pace myself, as the story unfolds slowly but not in a boring fashion. I very much enjoyed reading about the main characters, their motivations, and their moral dilemmas; such well developed backstories led to a much deeper sense of connection with the characters. The book starts a bit slowly, and the pacing was a bit uneven, but the conclusion was a barrage of rapid fire twists and satisfying payoffs. The plotlines raised countless questions and with each answer came a branch of five new questions, but that is to be expected from a series of such depth. I’m very excited to see what the future holds for this world, its characters, and how Sanderson continues to weave this tale moving forward.